A custom landscaping project within Calgary. 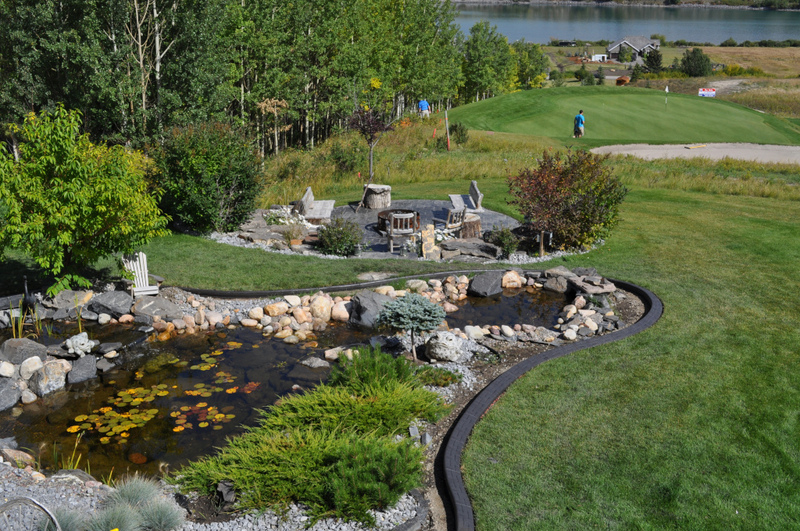 Big Pond and curb appeal on Golf Course - Curb Design Inc.
A stunning view of one of our recent Calgary-based landscaping projects, located on a golf course. Center stage is a fire-pit with some outdoor furniture and a large pond surrounded with our curb appeal or otherwise known as concrete curbing. Far back of the photo is a view of the golf course’s putting green and the large lake.